Tanisha Fazal is an Associate Professor of Political Science at the University of Minnesota. Her scholarship focuses on sovereignty, international law, and armed conflict. Fazal's current research analyzes the effect of improvements in medical care in conflict zones on the long-term costs of war. She is the author of State Death: The Politics and Geography of Conquest, Occupation, and Annexation (Princeton University Press, 2007), which won the 2008 Best Book Award of the American Political Science Association's Conflict Processes Section, and Wars of Law: Unintended Consequences in the Regulation of Armed Conflict (Cornell University Press, 2018). 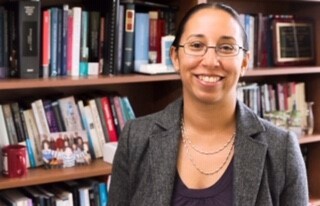 Her work has also appeared in journals such as the British Journal of Political Science, Daedalus, Foreign Affairs, International Organization, International Security, International Studies Review, Journal of Global Security Studies, and Security Studies. She has been a fellow at the Center for International Security and Cooperation at Stanford University, the Olin Institute for Strategic Studies at Harvard University, and the Carnegie Council on International Ethics.